The timing of fruiting in New England is important for wildlife that eat wild fruits and disperse seeds. However, surprisingly little is known about when different plant species fruit and what environmental variables determine fruiting times. 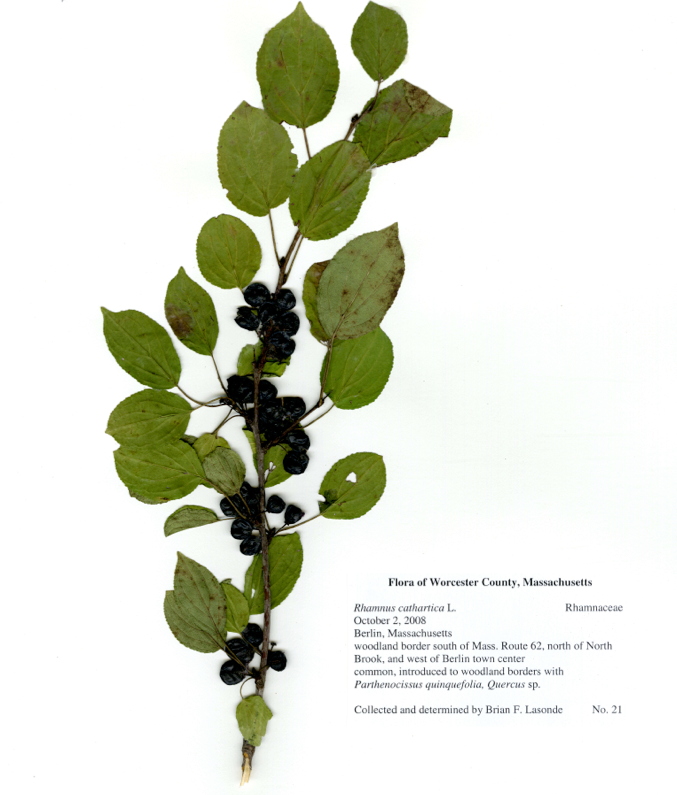 In a paper published last week in the American Journal of Botany, my co-authors and I describe patterns and predictors of fruiting times for 55 woody plant species across New England. Our team recorded fruiting dates and locations for over 3,000 herbarium specimens with ripe fruit, collected in the wild from 1849-2013, and housed at 6 major herbaria. We analyzed variation in fruiting times among 37 native and 18 invasive species, as well as within-species variation. We found a moderate phylogenetic signal to fruiting dates; in other words, related species tended to fruit at similar times. With phylogeny considered we found that, on average, invasive species fruited 26 days later than native species, and had more variation in their fruiting times. 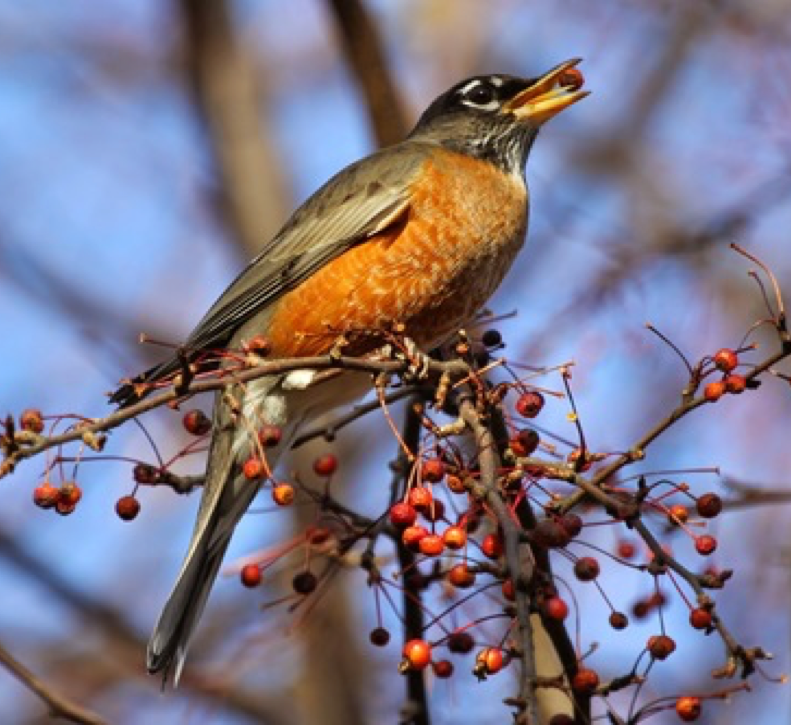 Since some birds are migrating through New England later with warming temperatures, this may increase the likelihood that migratory birds will encounter and consume invasive fruits, and disperse invasive seeds. Spring temperature and year were significant predictors of fruiting times within species, but explained a very small amount of the variation. We conclude that herbarium specimens are an excellent resource for investigating differences in fruiting times among species, but present unique challenges for analyzing variation within species. Read more about those challenges, potential solutions, and more in the full text. Part of my undergraduate thesis on leaf longevity involves studying how leaf age affects the chlorophyll content of evergreen leaves. We have measured chlorophyll content for broadleaved evergreen species, such as Rhododendrons and hollies, using an AtLeaf+ chlorophyll meter. Unfortunately, this instrument typically does not work for most conifers, such as firs, spruces, and yews, because the needles are too narrow to cover the width of the measuring window and the results are variable and unreliable. However, with just the tools shown below, we have been able modify the usual procedure for use with narrow conifer needles. We cut an insert (middle left) out of a sheet of thin plastic; this allows the needles to be precisely placed over the measuring window. 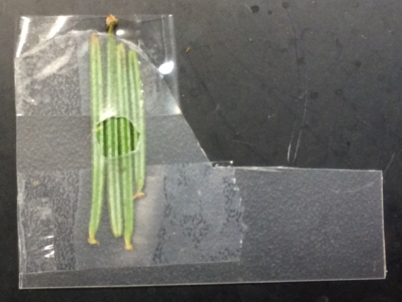 We arrange a few needles next to each other to cover the hole in the insert, with no gaps and minimal overlap between leaves, and then tape the leaves down with clear tape. We then carefully place the insert in the chlorophyll meter so that leaves are over the measuring window, and we’re set to measure chlorophyll content! 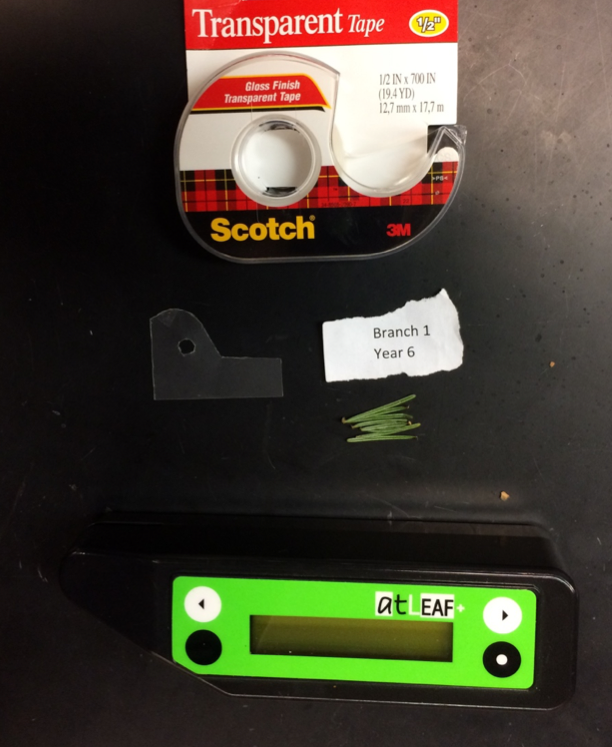 In effect, this simple procedure is a way to increase the width of the leaf surface area being measured. 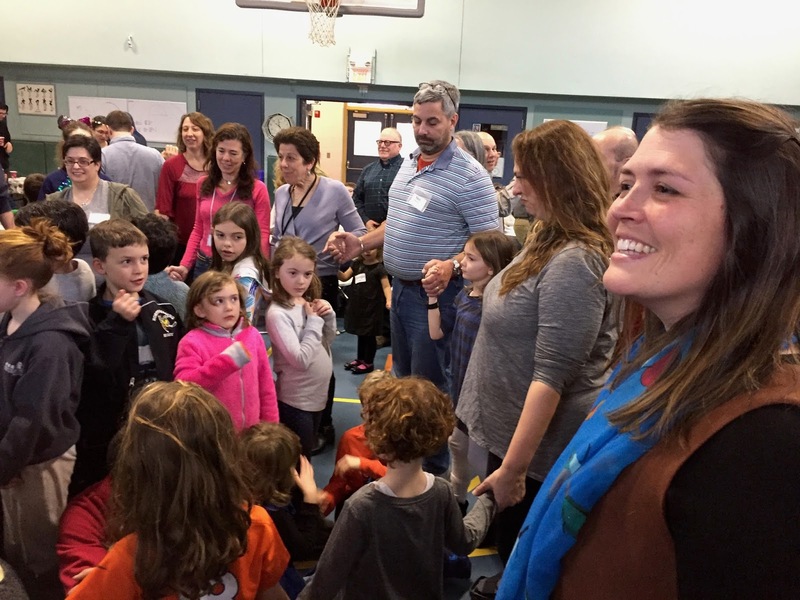 Last weekend I visited the Kahal B’raira Humanistic Jewish congregation in Cambridge MA, for their annual celebration of Tu BiShvat. Tu BiShvat, the New Year of the Trees, celebrates the value of trees particularly as providers of fruit and nuts. 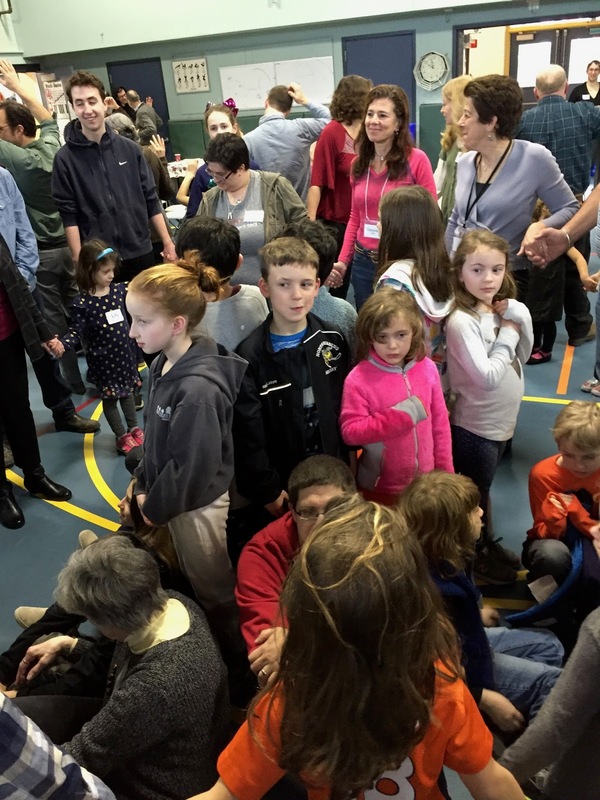 We began the morning with a Tu BiShvat seder, during which we ate fruits representing each of the seasons. One highlight was an interactive activity in which kids and adults acted out parts of a tree from the inside out. We started with the heartwood, and added roots, xylem, phloem, and bark. By the end, the whole congregation was part of the tree! 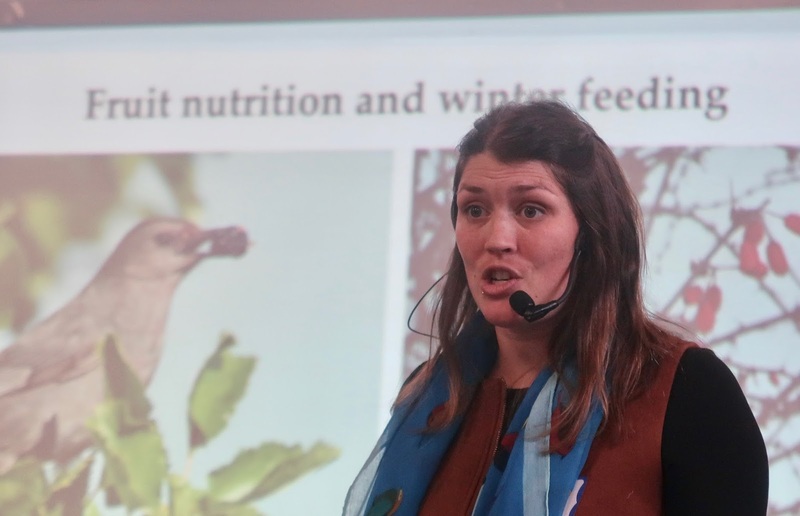 At the end of the morning, I gave a featured talk entitled Wild Fruits and the Birds that Eat Them. I described the natural history of fruits, their value to wildlife, and human impacts on bird-fruit interactions. Thanks to Kahal B’raira for the warm welcome, teaching me about Tu BiShvat, and for being such an engaged and curious audience for my talk!